By producing Lancaster’s first commercially brewed beer in nearly 40 years, Lancaster Brewing Company has reawakened a rich and colorful brewing history. Brewing in Lancaster County grew from the back rooms of inns in the early 1700’s into a thriving industry. By 1810, the county accounted for 7% of all beer brewed in the US. 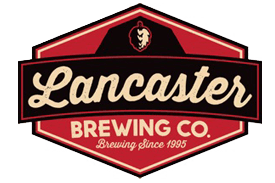 Learn More About Lancaster Brewing Company And Their Beers By Visiting Their Website.